We are very excited to bring you a Beta version for a new FT 300 feature. 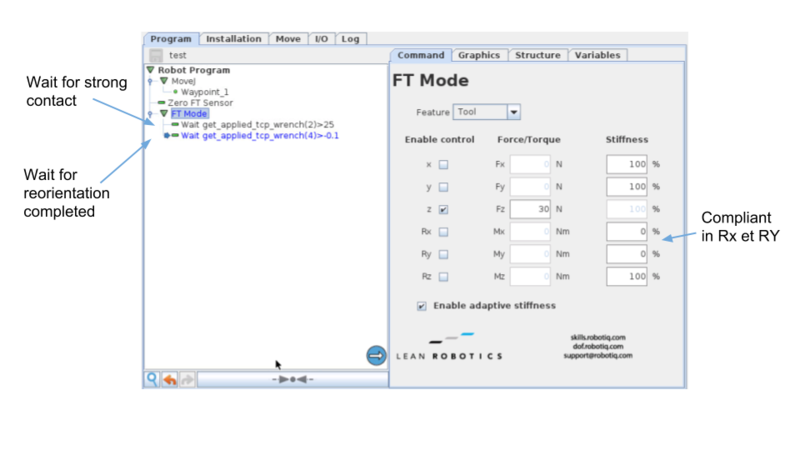 This Beta version of the FT 300 URCap includes Robotiq's FT Mode. It is a new URCap node that uses the FT 300 data to apply predefined forces and/or torques on a Path recording node. 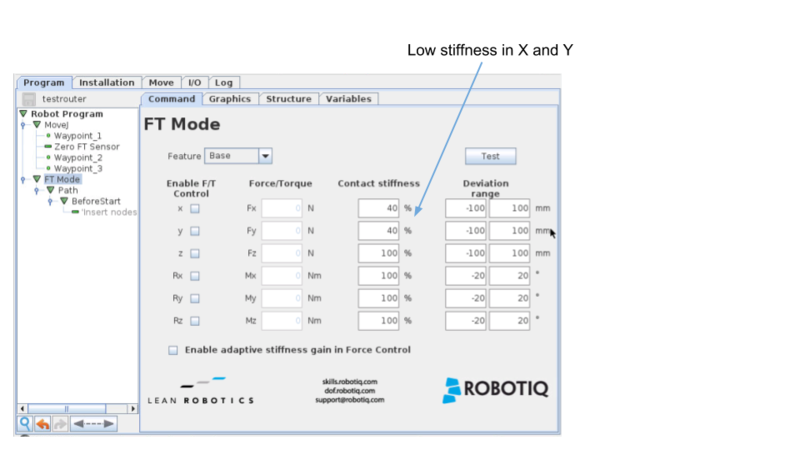 It can also give the robot a spring effect in desired axes (see the Contact stiffness parameter in the guide below). The FT Mode can be used with any other instruction other than standard UR Move instructions (MoveJ, MoveL, MoveP). We have tested it ourselves on a few interesting applications. We will post them below soon! You can download the Beta URCap here. Make sure you read the Beta Quickstart guide (attached to this post) before you start testing with this URCap version. The Robotiq team and I would be glad if you could send us feedback by filling out this questionnaire. We want to make sure we develop URCaps that fit your needs and your customers'. Do not use this Beta URCap in a production environment, on a customer’s robot cell or on a permanent setup. Since this is a Beta version, some bugs might be present. Please report them and we will address them accordingly. Always use caution when testing a Beta software. 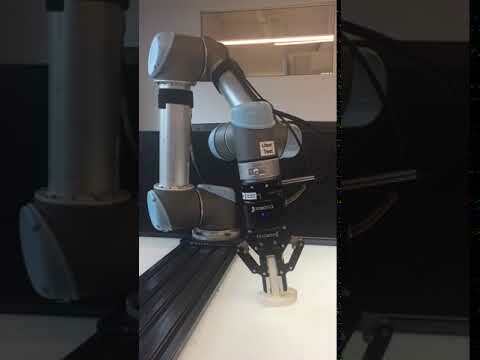 Here is a demonstration of how simple it is to reorient a tool on a surface with the Robotiq FT Node using the stiffness parameters. The TCP needs to be set near the contact point since the TCP is not allowed to move in X and Y.
I made a demonstration of contour tracking using new Robotiq FT Mode. We first record the trajectory using a tool smaller than the production one to obtain an offset trajectory. Then we replace the dummy tool with the real one and set low stiffness in X and Y axes of Robotiq FT Mode. 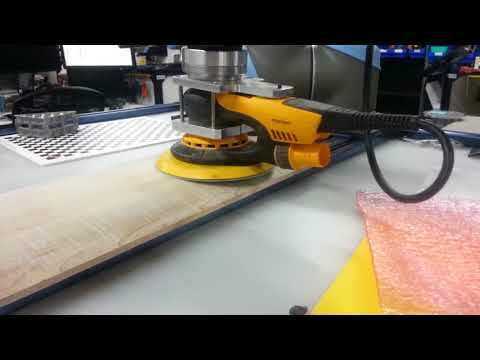 The Path is unreachable, so the robot will continiously apply pressure on the part. Could be try with router bits mounted with ball bearing. 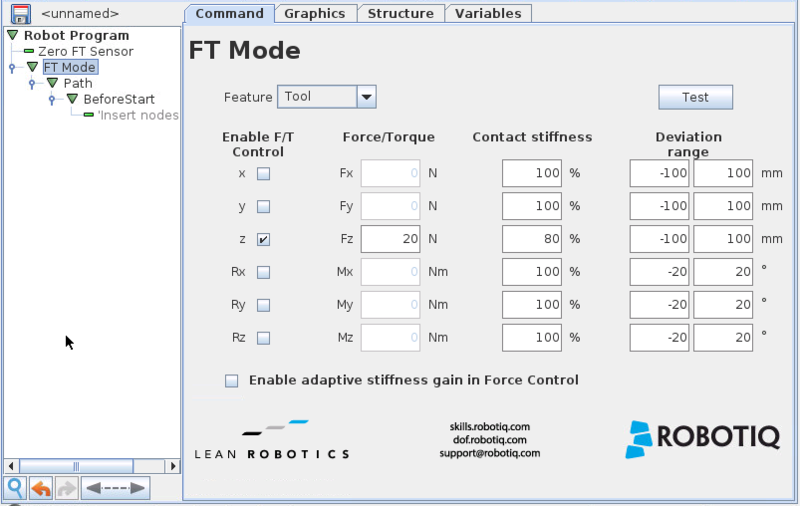 The updated URCap containing Robotiq's FT Mode is available via the support website. Go ahead and use it to get to production faster!